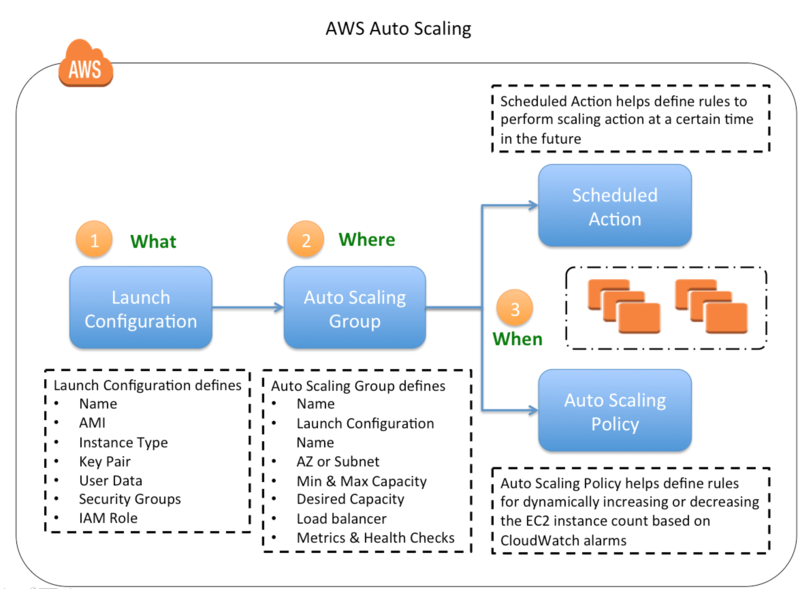 Auto Scaling lifecycle starts when the Auto Scaling group launches an instance and puts it into service. 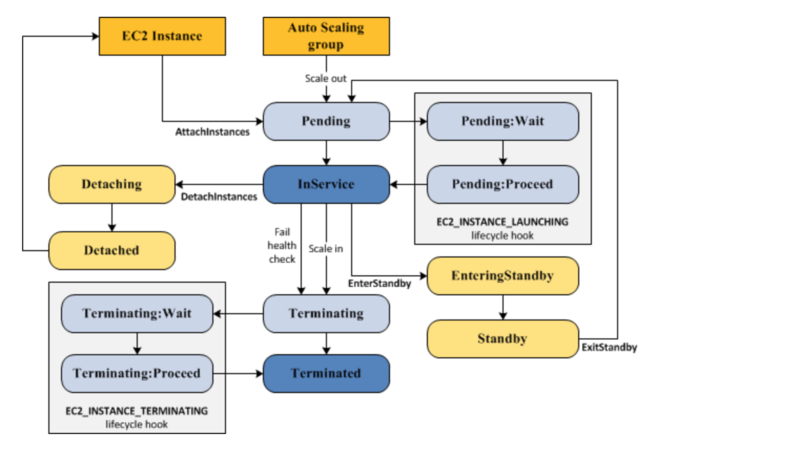 Instances are detached from the Auto Scaling group and enter the Terminating state. After the lifecycle action is completed, the instances enter the Terminating:Proceed state. When the instances are fully terminated, they enter the Terminated state. During the scale out and scale in events, instances are put into a wait state (Pending:Wait or Terminating:Wait) and is paused until either a continue action happens or the timeout period ends. By default, the instance remains in a wait state for one hour, which can be extended by restarting the timeout period by recoding a heartbeat. If the task finishes before the timeout period ends, the lifecycle action can be marked completed and it continues the launch or termination process. 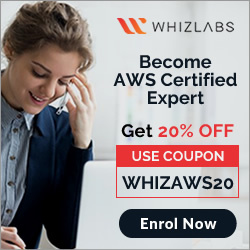 CloudWatch Events target to invoke a Lambda function when a lifecycle action occurs. 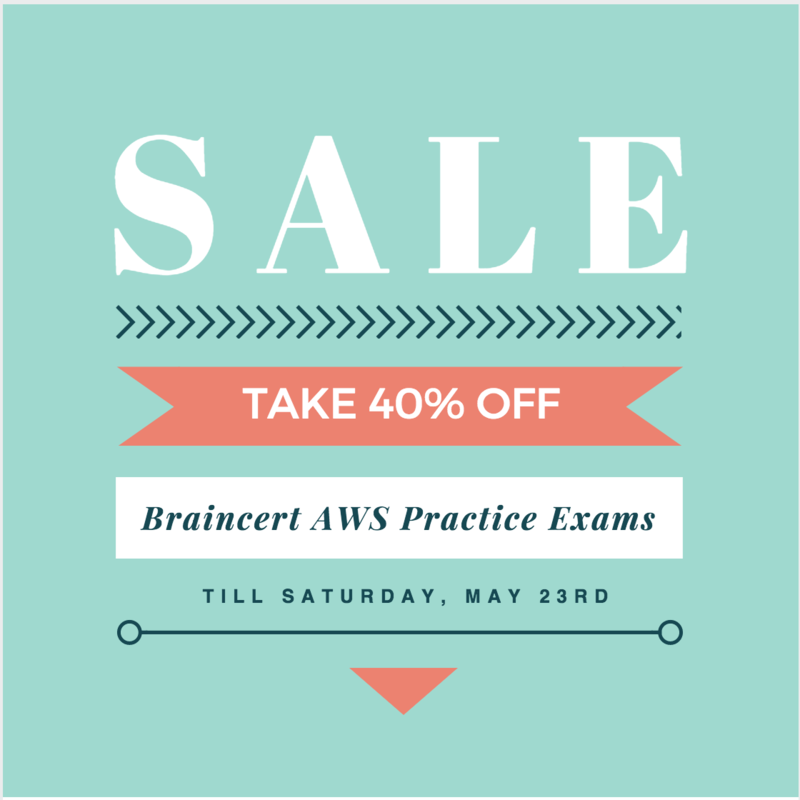 Event contains information about the instance that is launching or terminating, and a token that can be used to control the lifecycle action. Notification target (CloudWatch events, SNS, SQS) for the lifecycle hook which receives the message from EC2 Auto Scaling.The message contains information about the instance that is launching or terminating, and a token that you can use to control the lifecycle action. Instances remain in a wait state for a finite period of time. Default being 1 hour (3600 seconds) with max being 48 hours or 100 times the heartbeat timeout, whichever is smaller. CONTINUE indicates a successful action, and the instance can be put into service. ABANDON indicates the custom actions were unsuccessful, and that the instance can be terminated. ABANDON and CONTINUE allow the instance to terminate. Instance in an InService state can be moved toStandby state. Standby state enables you to remove the instance from service, troubleshoot or make changes to it, and then put it back into service. 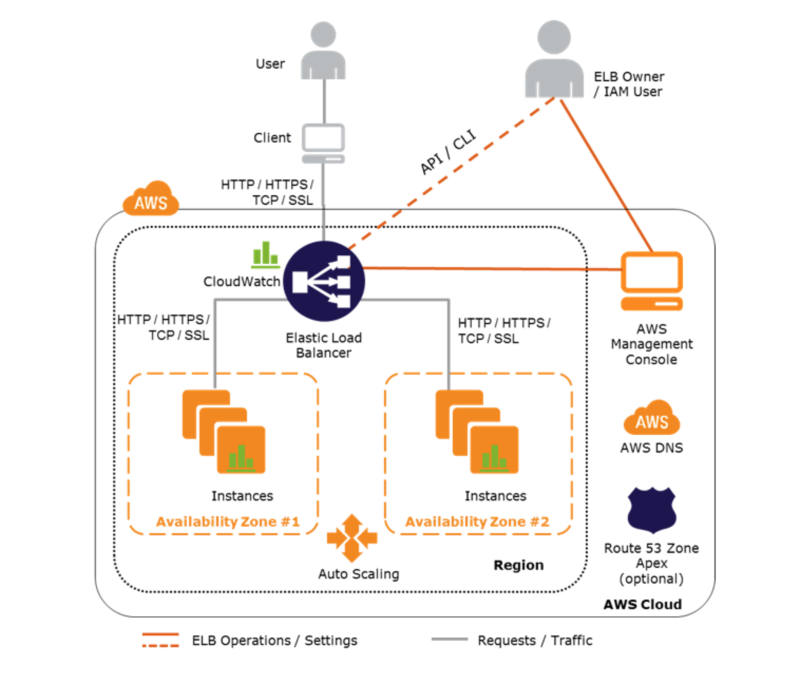 Instances in a Standby state continue to be managed by the Auto Scaling group. However, they are not an active part of the application until they are put back into service. Create a CloudWatch alarm with an SNS topic to send alarms to your DevOps engineer. Create a lifecycle hook to keep the instance in pending:wait state until the bootstrapping has finished and then put the instance in pending:proceed state. Increase the number of instances in your Auto Scaling group. Create a lifecycle hook to keep the instance in standby state until the bootstrapping has finished and then put the instance in pending:proceed state.